Do you think it’s too late for you to study something? I know how it feels when you turn out to be a student as an aged person. But what if I introduce you to a whole new level of learning? Or maybe you are regretting the moment you chose the career decision. Are you disappointed not to be a teacher? Well, I have got a solution for that too. Let me get into the core of this post without testing your patience. 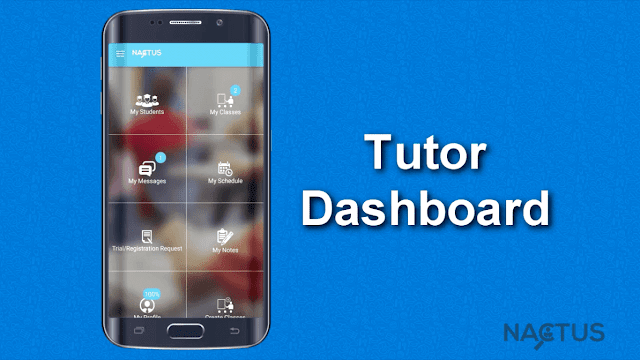 Nactus is a mobile app for those who want to learn and teach something at the comfort level. You won’t have to wear a bag, ID card and take bus daily. All you need to do is just install a mobile app and start right away. Nactus was founded exactly for the people like you who look forward to taking benefits from the ever-growing world of technology. So now, it’s time to unleash the incredible features of Nactus. If you are a tutor looking forward to widening your horizon, you will find Nactus in the following ways. Yeah, you heard it right! Monetization is possible on Nactus if you are looking for an extra income stream. You can set a price for the notes you provide to the students. I understand that you may have a full-time job or another primary business to focus on that you can't always provide classes. 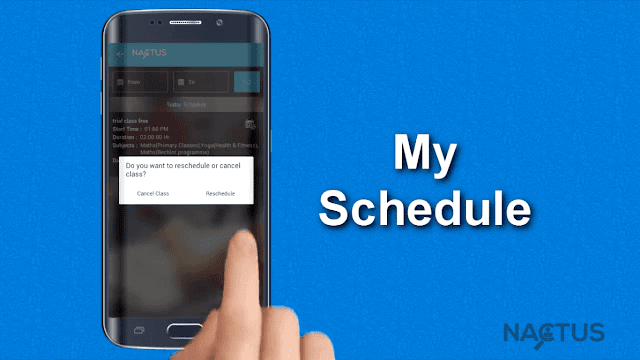 That's why Nactus has an effective schedule management system to set convenient timings. 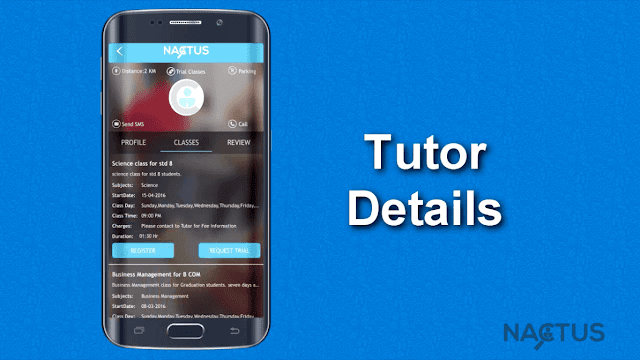 Nactus allows you to create a detailed tutor profile. Obviously, it will help you build a reputed brand as a tutor. Nactus is going to amaze you with their students-friendly features given below. The number of teachers on Nactus is increasing day by day. But, you will never find it too hard to choose the best one among the lot using their efficient filter. No one can see your profile and contact details unless you register for their course. Yes, only your teachers are eligible to get your profile data. Do you have a short memory? 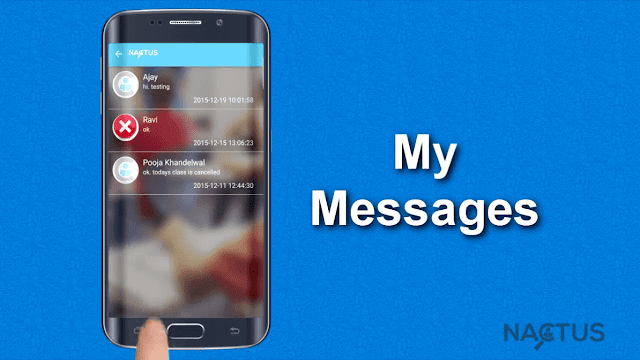 Then, Nactus keeps you with the flow by sending you push notifications about the upcoming classes. Soon after you sign up for one’s class, you will be granted to chat with him/ her. No one else can message you other than your tutors. And, no one can sneak into the chats. The doubt clearance becomes easy this way. How to Sign up for Nactus? Are you excited to join Nactus? As I said earlier, it is a mobile app available for both Android and iOS. The following are the steps to join Nactus. Step 1: Download the app and register for an account. 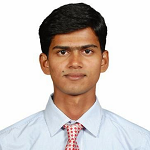 If you are a tutor, you need to create a profile here. 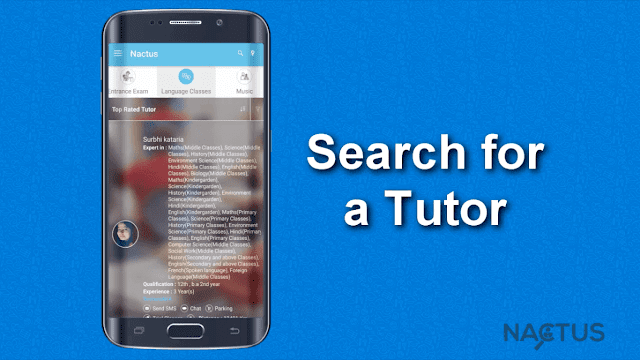 Learners can search for teachers here. Step 2: It is possible for students to get a trial so that, you will have a firm idea of what is in the full course. On the other hand, tutors need to setup all the class settings and batch arrangement. Step 3: Whenever you get a class registration as a tutor, communicate with him to make the process easier. Similarly, students can use the chat feature to get a firm idea of class details. I hope you have got a clear picture of what Nactus is and how it works. If you think you still have any doubt to be solved, don’t forget to use the comment section down below to let me know about the same. I will be more than glad to help you out.